McRae’s Environmental Services, established in 1955, and headquartered in Vancouver, British Columbia, is a leading infrastructure maintenance and environmental services business operates throughout British Columbia, Alberta, Saskatchewan and Manitoba. McRae’s employs over 115 experienced operators and has the largest equipment fleet in its core Greater Vancouver and Vancouver Island markets with over 80 specialized vehicles providing services to a broad range of governmental, heavy construction, oil & gas, commercial, industrial, utility and institutional customers. McRae’s offers a large, modern fleet of specialized equipment and highly trained personnel to its diverse customer base. Its main services are hydro-excavation, liquid-waste hauling & disposal, holding tank rental & service, hazardous waste disposal & management, mainline sewer cleaning and CCTV pipeline inspection. Stern Partners became a partner with the other owners of McRae’s in 2013. 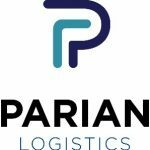 Parian Logistics Inc., an affiliate of Stern Partners owns the 28.6-acre property, including a 427,000-square foot office and distribution centre, at 1530 Gamble Place in Winnipeg. The property, which was acquired in 2018, will be the future head offices and distribution centre for Warehouse One Clothing and Ricki’s Fashions, as well as the distribution centre for Bootlegger Clothing and cleo fashions. More than 350 individuals will work at the new facilities. On a staged basis, tenants will begin moving in January 2019 with completion by late 2020. A leading creative and digital production studio with offices in Toronto, Vancouver, and Los Angeles. With expertise in creative design, digital development and experiential campaigns, they deliver award-winning work to a roster of global agencies and brands. McMynn Leasing, established in 1988, and headquartered in Vancouver, British Columbia, is a leading motor coach company fulfilling the needs of charter operators, line haul carriers, and main haul contractors operating throughout Canada and the United States. McMynn Leasing provides a variety of services including motor coach rentals, short-term and long-term lease financing options, and new and used motor coach sales. McMynn Leasing also has a full service maintenance and repair facility. For over 30, years McMynn Leasing has successfully addressed the transportation and financing needs of its customers. Stern Partners became a partner with the owners of McMynn Leasing in 2016. OUTtv is Canada’s ONLY national LGBTQ television network, offering a compelling mix of drama, lifestyle, comedy, talk and award-winning movies that appeals to both the LGBTQ community and a broader progressive audience. Its original programming has been broadcast in the US, Europe and in other countries around the world. In Canada, OUTtv can be subscribed to through every cable and satellite service. It’s been OUTtv’s mission since the beginning to create positive changes for LGBTQ communities by celebrating all aspects of LGBTQ life through our programming. OUTtv has many vibrant social media communities on Facebook, Twitter, YouTube, Pinterest, Instagram, Tumblr, and Google+. Stern Partners purchased OUTtv in December 2016. Established in 1978, Xibita changed its name to “The Portables” in 1982 after becoming a pioneer and leader in the portable display industry in Canada. The Portables, which continues to operate as a subsidiary of Xibita today, is an innovator in manufacturing unique, effective trade show exhibits and banner stands. While Xibita continues to be an innovator in that area, it has expanded over the years into large complex custom exhibits and kiosks to meet a growing demand for several Fortune 500 companies. Xibita has full manufacturing capabilities in its 45,000 square foot facility in Richmond, BC, and with offices in Richmond, BC and Toronto, ON. Stern Partners acquired Xibita on June 22, 2017. Stern Partners is active in real estate development and holdings through Parian Capital Corporation. Founded in 1993 by Jim Rattenbury and Ronald N. Stern, projects are primarily focused around residential real estate development and retirement facilities, as well as commercial income properties. Parian Capital has established limited partnerships through which its principals and network of investors can invest in its projects. Parian is currently involved in several active developments in the Western U.S. and Canada.